Shop Our Site For Ideas - Conatct Us With Your Commercial Requirements - Request A Quotation. Shop For Corporate And Hospitality Mirrors Using Our Custom Mirror Menu. 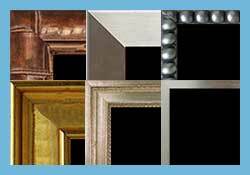 Hundreds Of Frame Options - Hospitality Mirror Projects Of Any Size - With On Time Guaranteed Save Delivery. Corporate Hospitality Discounts Available On Bulk Orders. Ship To One Central Location Or Drop Ship To Multiple Locations. Request A Quote. Create A Unique Combination Of Chalkboard, Cork, Dry Erase And Fabric Wrapped Wallboards. Contact Us - We Can Help You Design The Perfect Wallboard To Fit Your Specific Requirements. 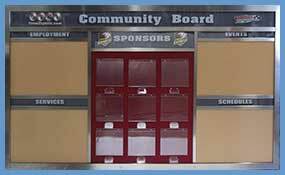 Custom Header Boards Using Your Graphics - Any Size - Personalize A Corkboard, Chalkboard Or Dry Erase Board With Your Corporate Identity. Create A Unique Chalkboard, Cork, Dry Erase Or Fabric Wrapped Wallboards. 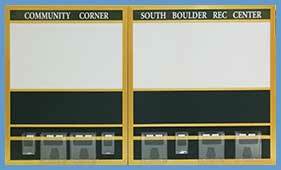 Contact Us - We Can Help You Create The Perfect Wallboard To Fit Your Specific Requirements. 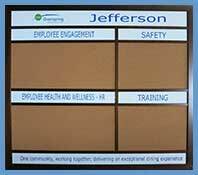 Corporate identity wallboards made to your size. 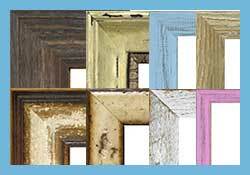 Add a custom header to any style wallboard. We can create the same format header board in various sizes to match the space requirements or specific needs by location. We can ship multiple units bulk packed to a central warehouse - or drop ship to individual locations anywhere in the country. Information Boards With Brochure Holders Contact Us - We Can Help You Create The Perfect Wallboard To Fit Your Specific Requirements. 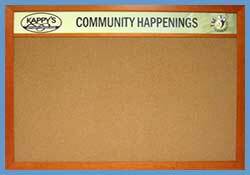 Purchase Corkboards In Bulk For Commercial Or Hospitality Needs - Use Our Custom Cork Board Menu. 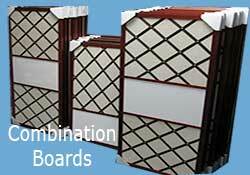 View All Types Of Wallboards Here. 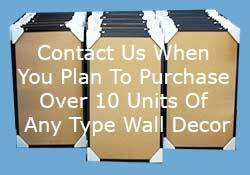 We have been manufacturing custom wall decor since 2001. 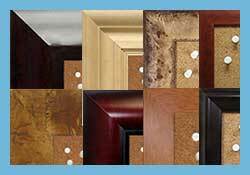 Our corporate, commercial and hospitality business has grown largely because of the quality of our products and our ability to fabricate custom wall decor to size with on time delivery. We ship wall decor to all 50 states. Our clients include hundreds of small business establishments and some of the country’s largest corporations. We make everything to order - as a result we can create wall decor to fit very specific job requirements. 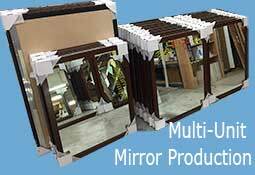 We fabricate custom mirrors and wallboards and can ship to a single facility or drop ship to hundreds of company locations around the country. We deliver to multi-unit housing projects palatized by unit number, floor or project date. We can time delivery to meet the project coordinators specific timing and action calendar reqirements. We have done this with large projects throughout the country to include the following cities - Manhattan, Nashville, Houston, Tampa, Boston, Trenton, Las Vegas, Los Angeles, Baton Rouge, Syracuse, Clearwater and Baltimore. We would love to add your city to the list.